is Committed to give its customers quality roller shutters for the best price. We are leading supplier of manual and electronic roller shutters, window roller shutters, external shutters. 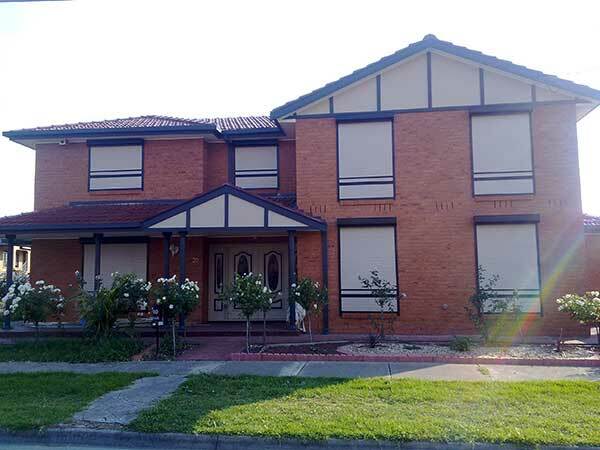 WHY LARF WINDOW ROLLER SHUTTERS? Looking for something to protect your assets and those top-secret files that your competitors will love to get their hands on? Put all your worries aside because now your windows can be covered with roller shutters in St Albans, which will protect you as well as your files. Larf Window Roller Shutters has a whole new range of commercial roller shutters that will suit your office, business, or shop front premises. All our security shutters in St Albans have the latest functionality and design that will suit any kind of commercial area. You can call us now and consult with our experts for free about shutters for your shop or office. These shutters are perfect when you want to have a quiet meeting. They block all kinds of noise and, on top of that, they provide heat reduction. They are made of marine grade aluminium and polyurethane foam that has a high density. These shutters provide the ultimate atmosphere for your company meeting and conferences. Robberies and thefts are quite common in offices and shops. These window shutters consist of extruded aluminium slats of the highest quality that are designed for optimum security. They prevent the window from breaking, which restricts excess for vandals. These window shutters can be bought with various operating options. The security shutters in St Albans can be controlled by a remote. A single remote can control up to six to twelve shutters. The window shutters in St Albans also come with a spring system, which is built-in in the extruded aluminium axle. It is tensioned to hold the weight of some particular custom shutters. A lock at the bottom bar of the shutter keeps it locked. The shutter comes with a range of switches. These are normally used in shop fronts. The window shutter has a flat wall plate of aluminium that has a key switch so that it cannot be dislodged from the wall. Larf Window Roller Shutters give a stylish outlook to your building and our technologies provide you with benefits that no other company can. LARF ROLLER SHUTTERS is a family business that is committed to give its customers quality roller shutters for the best price. We pride ourselves on keeping the process of buying roller shutters simple.We will work with you to make your home cooler in summer and warmer in winter.